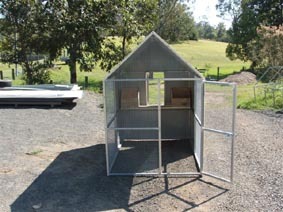 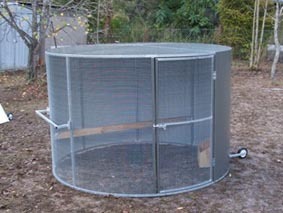 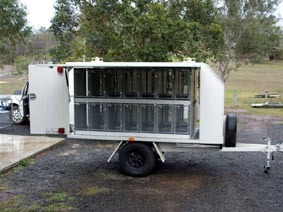 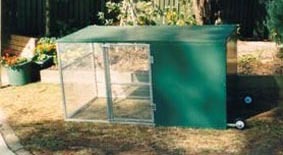 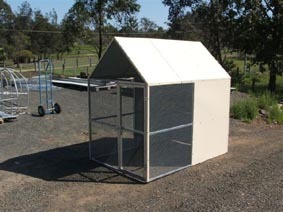 These are a very popular cage for a couple of chooks in the backyard with the advantage of being able to wheel the cage around the yard to weed those problem areas. 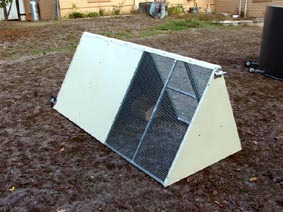 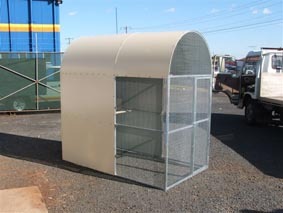 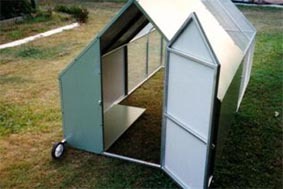 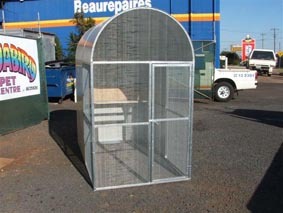 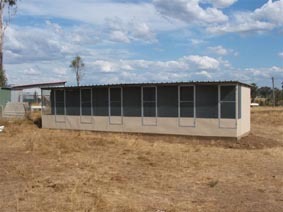 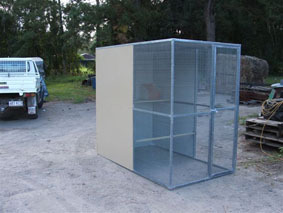 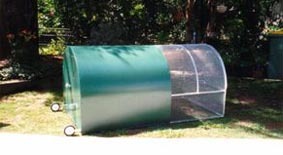 Styles of cages available are dome, peak roof and rectangular. 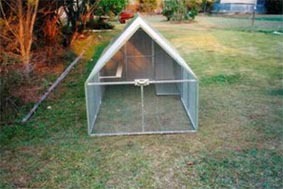 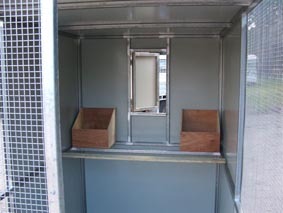 All cages supplied with nest box and perches. 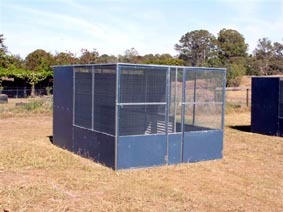 Walk in style pens with nest boxes, perches supplied also breeding complexes.